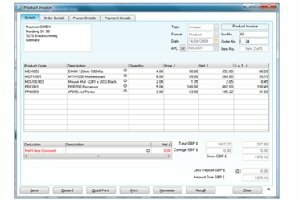 Exceptional accounts software to manage finances, customers, suppliers and VAT, with additional stock, project costing and flexible pricing tools inbuilt for complete control over your business. Ideal for established small to medium sized businesses who want an upgraded package for financial peace of mind. With a wide range of reports that are customisable, enjoy the ability to spot trends and patterns, whilst managing debt and ensuring you have the control. A variety of reports feature to allow you to view your product performance, profitability and stock levels at any given time. Manage your accounts on the move through your chosen device.